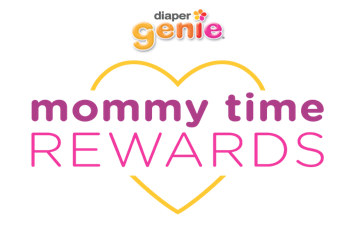 This is a sponsored post written by me on behalf of Diaper Genie® Elite and Babies R Us. All opinions are 100% mine. 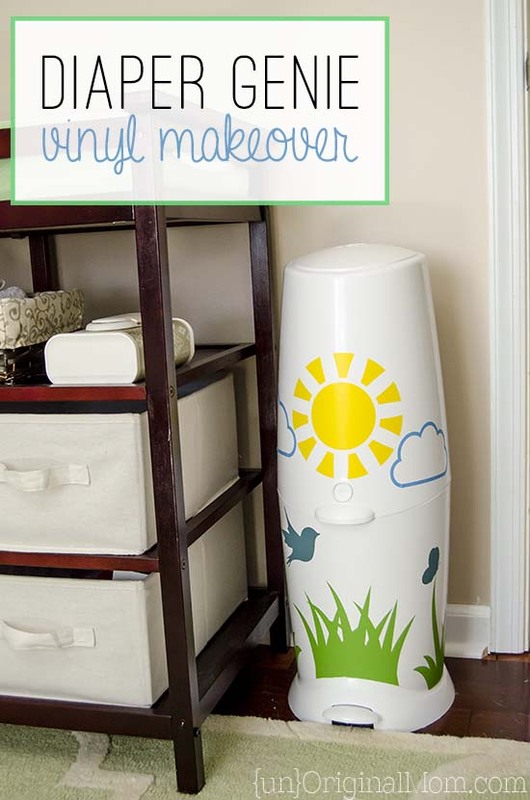 This Diaper Genie® makeover is a great way to brighten up your own nursery, or a neat idea for a fun and useful baby shower gift! Let’s face it, moms – the baby nursery is really all about us. Sure, when we’re pouring money and time into creating the perfect room for our little one, we might be saying it’s all for them…but really, all they see is black and white blurs. We’re the ones that stare at and memorize every corner, shelf, knob, nook, and cranny as we rock an overtired baby at nap time, feed him at 4 am, fold and put away little clothes for the 3rd time this week, and change the thousandth diaper. Don’t let us fool you, husbands – that beautiful baby nursery is really all for us. As it should be. 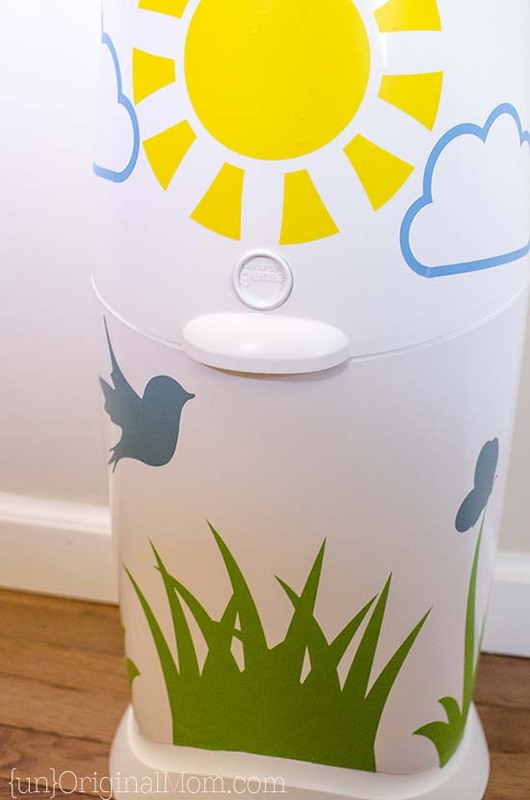 So when I decided to decorate the Diaper Genie®, I *could* tell you that it was all for my baby boy – but really, I thought it would be a cheerful addition to the room that I spend so much time in. Isn’t it cute? 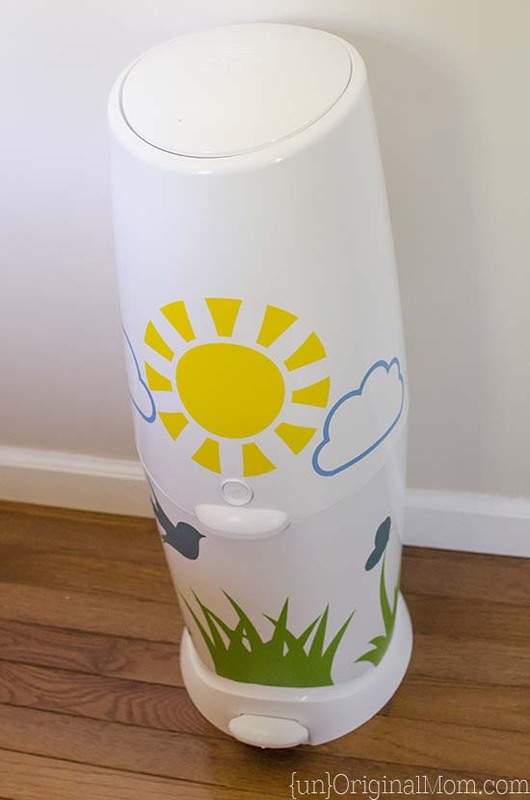 I used my Silhouette to cut out some vinyl shapes and adhered them to the Diaper Genie. We have a gender neutral nursery that isn’t really “themed” per say, but does have lots of greens and blues (I haven’t done a post on the nursery in our new house, but it’s the same colors and fabrics as our old house, which I posted about here). And while everyone wants a sweet looking nursery, we all really want a sweet smelling nursery too! 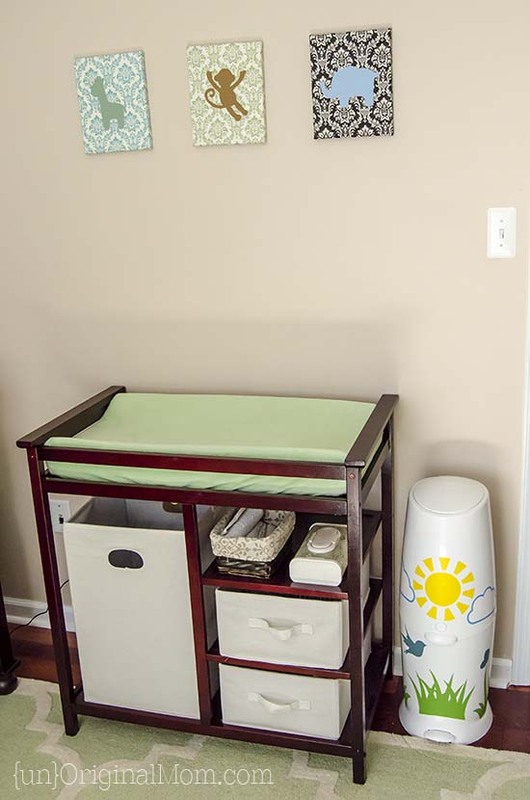 If you don’t have a Diaper Genie® in your baby’s nursery, it’s a terrific addition. 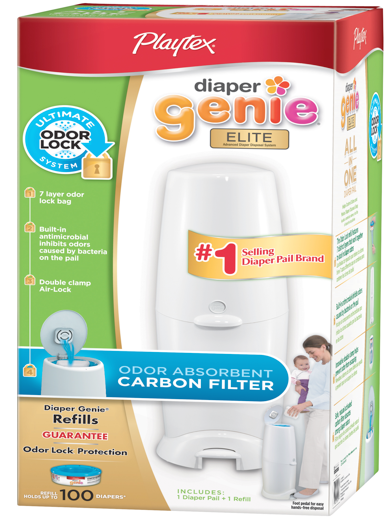 It’s actually new to ours – we had a regular lidded trash can for a while, but now that baby boy is starting solid foods those diapers are getting waaay smelly, so I picked up a Diaper Genie® Elite, which has a carbon filter in the lid for extra odor protection! The Diaper Genie® Elite at Babies R Us is an award-winning product and the #1 selling diaper pail system. I love how easy it is to just toss in a diaper, and the 7-Layer Refill Technology guarantees odor lock protection. They also now make a Diaper Genie® 8-pack refill that meets all refill requirements for year one of baby’s life – meaning less trips to the store (or at least less things to remember), which is always a win in my book. Do you have any secretly-just-for-mom projects in your house? What a cute idea! I never would have thought of it! My twins are (thankfully, finally) out of diapers now but I soooo would have done this. Aww that’s so cute! It really brightens up that little corner. Darling :) Thanks for sharing! I see my cousin/co-author already commented on this but I had to mention something too! 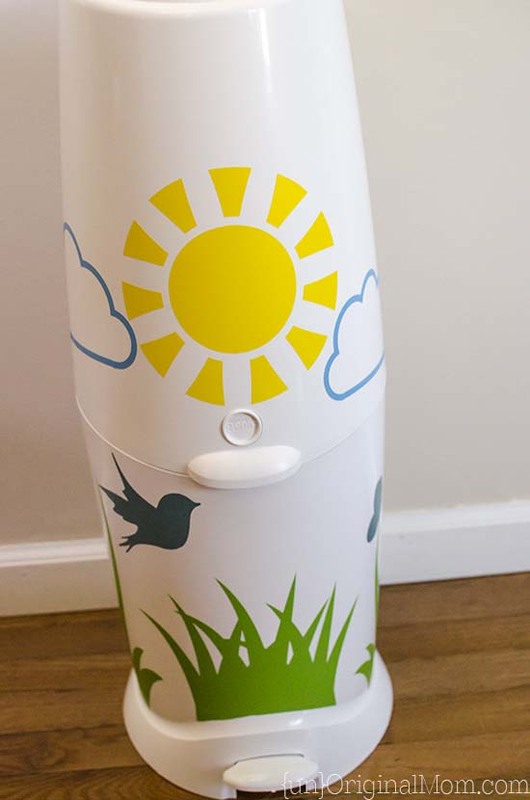 I have a diaper genie for my little one – which is an amazing product, of course – but it is really quite ugly! 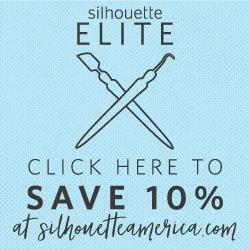 I think this is a great idea…I’m going to have to try this! If I ever blog about it I’ll be sure to link back to you for inspiration.